Home » Games » FNAF Ultimate Custom Night – What is this Nightmare? FNAF Ultimate Custom Night has been finally released and it is expected to be the final title of FNAF series (or at least the final chapter of Afton family). It is like a final love letter for all fans of this creepy horror game with extremely convoluted secrets. At first glance, the game may just look like a mere fun little game. But the more we dwell into this madness, the more intriguing it becomes: What is this world? What are the meanings behind the animatronics’ death dialogue? And more importantly: Who is the player? Such question is far too fascinating to ignore. 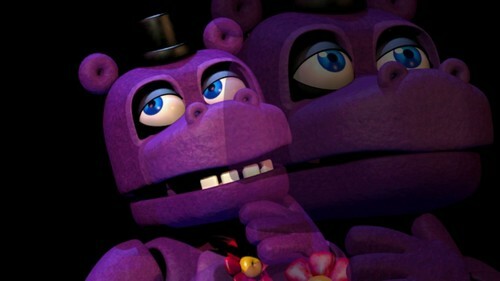 And so, let’s try to crack up this huge mystery in FNAF Ultimate Custom Night! 1. What is the world in FNAF Ultimate Custom Night? 2. 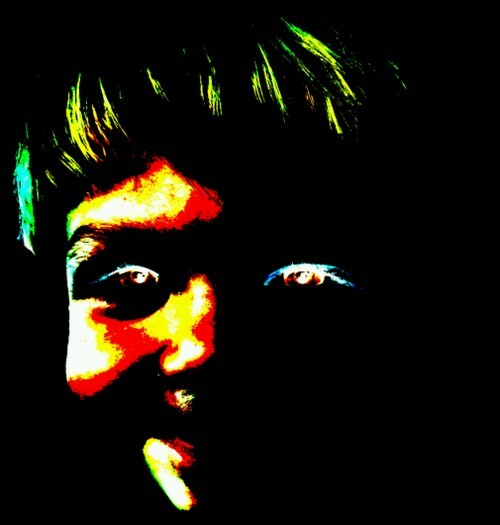 Is the player William Afton? 4. Will The Vengeance End? *Disclamer: The theories explained here are made by other players and theorists. Here we will only try to round up all the ideas in the most understandable as possible. In the Ultimate Custom Night, players are offered all 50 animatronics and 4 different offices to choose from and enjoy this hellish experience. 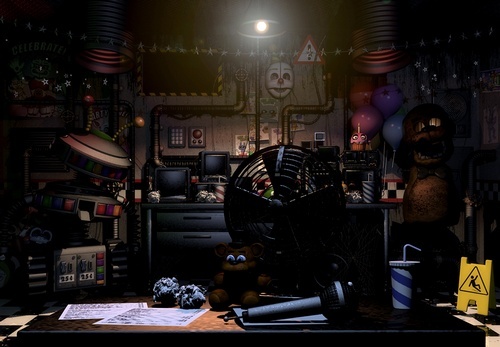 All 4 offices are based on the offices back in previous FNAF games, starting from FNAF 1. So why is that? 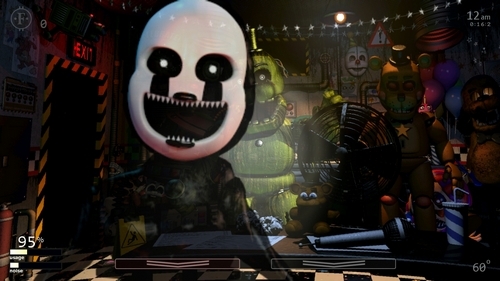 Why players get to encounter all the animatronics in the same offices we have experienced in previous games? This “old friend” clearly refers to William Afton and as Henry said: William will be sent into the Hell. This piece of information feels strongly connected to FNAF Ultimate Custom Night. So does that mean the game takes place in hell? Maybe? Do the players assume the role of William Afton? It is highly so since there are so many things backing up this theory. At the moment, this is the most accepted theory throughout the Internet. In fact, it does really make sense if we connect the clues in Ultimate Custom Night and FNAF 6’s True Ending. 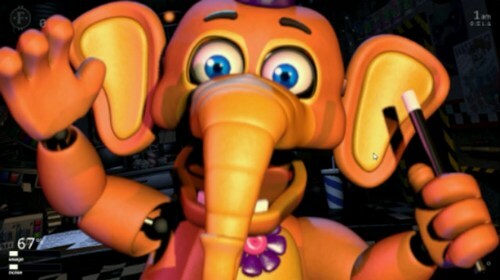 As we already know, William Afton is the infamous serial killer throughout the franchise who had built the animatronics with the help from Henry. He killed so, so many children, including those from FNAF 1, AND, Henry’s child who later on possessed the Puppet. With all of his horrible deeds, clearly all animatronics throughout the franchise would like to have a “word” with him. But then it comes to the next question: Why does this happen? Is there anyone behind this hellish punishment? So clearly this implies that there was another unfortunate victim which we kind of missed. Whoever this victim may be, it is clear that this entity is very powerful, even more powerful than the Puppet. We know that the Puppet was the protector of the killed children’s souls. But this so-called “the one you should not have killed” can do more than that. This victim is so powerful, so hateful towards William that this entity can even create this pocket hell to torture William. So he – “the one you should not have killed” – is the entity who’s behind this pocket hell which William Afton experiencing. So clearly this strongly suggests that the whispering female voice behind Nedd Bear, Happy Frog, and Orville Elephant are actually not Circus Baby. It belongs to this Vengeful Spirit who definitely has a deep hatred for William. The Vengeful Spirit does not want William to rest; he wants to torture William over and over until he feels satisfied. If all these theories are true, then who is this Vengeful Spirit exactly? Surely he is not just some brand new character suddenly appears, right? Ultimate Custom Night is supposed to be an extremely difficult, or rather, nearly impossible if we put in 40+ animatronics with max difficulty level of 20. 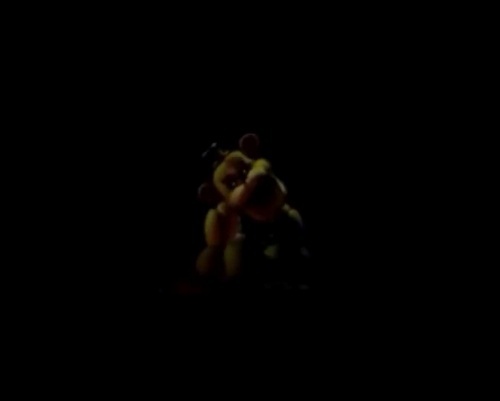 However, if players managed to reach 9800 points, a peculiar “ending scene” will appear featuring Golden Freddy twitching and gradually fade into the darkness. 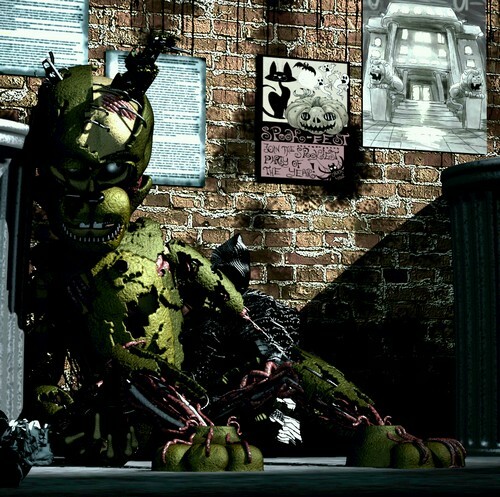 This scene is similar to the trailer of FNAF 3 when Springtrap kept twitching, implying a soul who does not want to give up. In this case, it is believed that Golden Freddy is the animatronic possessed by the Vengeful Spirit. He refuses to let William go even in death. This is further proven by the fact that if players use Deathcoin to kill Golden Freddy, he will kill the players right away in the form of Fredbear. 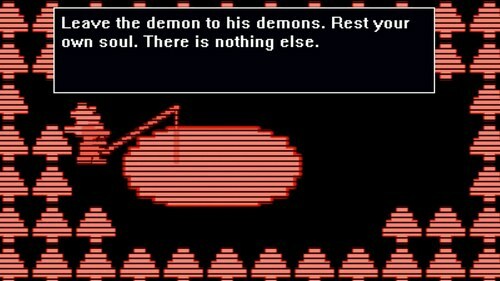 “The demon” is highly referring to William Afton – the mad killers of the franchise. This means: Old Man Consequences is convincing Golden Freddy to let everything go. Let his own soul to be free and let William fall into the Hell he deserves. If players let glitch inside the pond Golden Freddy by pressing A and D rapidly, the game will crash. 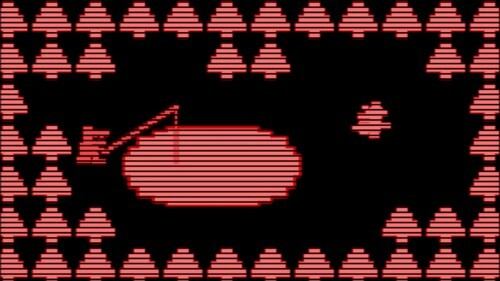 Interesting enough, if players speed up the background music in this mini-game, they will hear some sort of robotic screaming. And with further analysis, the screaming somehow sounds like “I hate“, “Mike” and “Henry”. So it seems we can confirm that this Vengeful Spirit is Golden Freddy. But who is Golden Freddy was still a mystery… until now. In the FNAF Survival Logbook, there are several cues hinting the identity of Golden Freddy thanks to the infamous quote: “It’s me.” These cues finally lead to a name: Cassidy. Further analysis leads to the final book: FNAF The Fourth Closet. In this book, there is a character named Cassidy described as a girl with black hair. This piece of information fits perfectly with a picture in FNAF Survival Logbook which features the Puppet presenting a birthday cake to a girl with black hair. This finding is absolutely fascinating since it reminds players back to FNAF 3’s mini-game Happiest Day. In this mini-game, all the children finally enjoyed their happy moment and decided to be free, including Golden Freddy. However, now we know that Golden Freddy in fact hasn’t let go of her hatred. She still cannot let William be, she still wants revenge. In the end, FNAF Ultimate Custom Night is like a nightmarish realm, created by the hateful spirit of Golden Freddy – Cassidy. 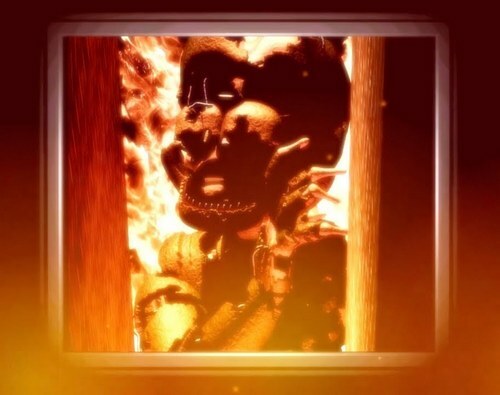 When William – Springtrap was burned down in FNAF 6, his soul was expected to fall into hell. But for Golden Freddy, this was not enough. She wanted vengeance, vengeance by herself. Therefore, she created this realm to torture William over and over with all the animatronics throughout the franchise. After all… Is this worth it? But after all this, are we going too hard into this game? Just like Mr. Hippo said: “Sometimes, a…y’know, sometimes, a story’s just a story. You try to read into every little thing, and find meaning in everything anyone says, you’ll just drive yourself crazy.” And also just think about it: isn’t we – the players – are the one pushing William into this nightmare? MatPat had quite an interesting point about this: as long as we play the game, William will keep experiencing this nightmare and Golden Freddy will never find peace. Even if we beat the game in 50/20 mode, all we see is a twitching Golden Freddy – a hateful spirit who still does not want to let go. Which means: no matter how hard players try; the hatred will still not go away. It is the player who doesn’t let Golden Freddy rest. In addition, after completing Old Man Consequences mini-game, the game is crash, meaning everything is over. Nonetheless, FNAF Ultimate Custom Night and FNAF series in overall is extremely fascinating with twists and dark secrets. Perhaps someday people will let it go but at the moment, there are still secrets, questions to be answer. And what about you? What do you think about the game and the series in overall? Feel free to share with us and for now, thank you and stay tune for more news in the future!